DESCRIPTION OF THE BOOK: Follow la vida y el legado of Pura Belpré, the first Puerto Rican librarian in New York City. When she came to America in 1921, Pura carried the cuentos folkloricos of her Puerto Rican homeland. 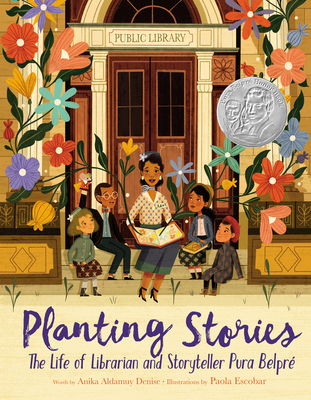 Finding a new home at the New York Public Library as a bilingual assistant, she turned her popular retellings into libros and spread seeds across the land. Today, these seeds have grown into a lush landscape as generations of children and storytellers continue to share her tales and celebrate Pura’s legacy. This portrait of the influential librarian, author, and puppeteer reminds us of the power of storytelling and the extraordinary woman who opened doors and championed bilingual literature. MY TWO CENTS: Another bilingual favorite to add to the informational biography shelf! Pura Belpré is widely known for the book award created in her honor through the American Library Association. Every year, the Pura Belpré Award is one that recognizes Latinx authors and illustrators that reflect the Latinx culture in their picture books or novels. Pura Belpré had seeds of determination and passion that followed her from Puerto Rico. That same blessing led her to work in a library and share her stories with children, however, she quickly discovered that many of her own stories, reflective of her Puerto Rican culture, were not readily available to the community. Therefore, she begins to share her stories with children and then begins to write down all her stories for others to read. Soon after, she is telling her stories all around the world. This biographical account of Pura’s life story and life’s work is nothing short of inspirational. Pura unequivocally shares her passion for storytelling to all so that her stories and culture are not lost. Despite losing her best friend and husband, she returns to the library scene while also inspiring others, and sees her seeds of storytelling and Latinx culture, come to fruition. The sentence structures are concise but impactful as they tell the story, almost in a poetic form, of inspiration and passion as Pura moves to a role within the library. The reader is mesmerized in her storytelling and how certain words stand out with the use of a brushstroke. Words and phrases in Spanish are realistically embraced within the narrative structure, so much that it flows and might go unnoticed. The sharp, bold, multicolored background brings life to the determining force behind Pura’s life and purpose with books and libraries. The illustrator perfectly captures the authenticity of the story through its detailed illustrations and placement of characters and scenes. The illustrations dance around the entire page, which keeps the reader involved as the story progresses. Certain illustrations, like the simple flowers and musical notes, follow Pura as she shares her stories across the pages. The additional final pages also provide extensive references to text and film for further research in Pura’s lifework, as well as Latinx culture, especially the Puerto Rican culture. Overall, a perfect addition, in both English and Spanish, to your biography shelf, especially highlighting the power of small, yet meaningful actions and how it evolves into a movement across Latinx and book cultures. TEACHING TIPS: Many of these teaching moments can be implemented in a grades K-5 setting, with a focus on the primary grades. This book can also be combined in a biographical unit of inspirational storytellers or librarians. Easily paired with The Storyteller’s Candle, and other references found within this picture book. Students can also be invited to research more of Pura Belpré’s lifework, as well as the impact of the Pura Belpré award on books. To learn more about the Pura Belpré Medal and find the latest winners and honors, check out the ALA’s Pura Belpré Award home page. 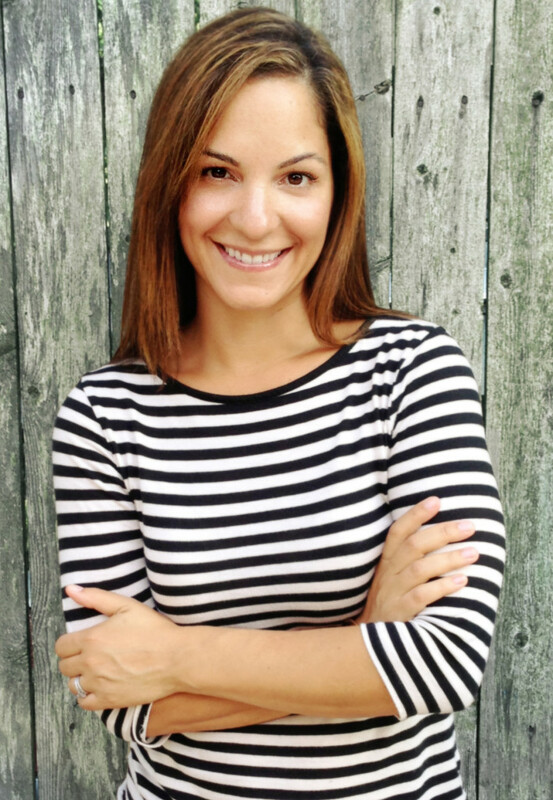 ABOUT THE AUTHOR: Anika Aldamuy Denise first heard the stories of Pura Belpré from her titi Rose, who, like Pura’s family, enjoyed sharing the treasured folklore of Puerto Rico. Today, Anika is the celebrated author of several picture books, including Starring Carmen!, Lights, Camera, Carmen!, and Monster Trucks. She lives with her husband and three daughters in Rhode Island. Other new titles coming in 2019 include The Best Part of Middle illustrated by Christopher Denise, and The Love Letter illustrated by Lucy Ruth Cummins.Visit her online at www.anikadenise.com. ABOUT THE ILLUSTRATOR: Paola Escobar grew up traveling from town to town in Colombia. From a very young age she liked to draw the stories her grandmother Clara told about her ancestors, the countryside, and animals. Today, Paola is an illustrator who is passionate about telling stories of her own, having published with SM Spain, Planeta, Norma, and more. She lives very happily in Bogota, Colombia, with her husband and their dog, Flora. Follow her on Instagram here! ABOUT THE REVIEWER: Dora M. Guzmán is a bilingual reading specialist for grades K-3 and also teaches an undergraduate college course in Children’s Literature. When she is not sharing her love of reading with her students, you can find her in the nearest library, bookstore, or online, finding more great reads to add to her never ending “to read” pile!